It was before noon, and already flowers were being arranged and tables were being set up under a cloudy sky. Inside, Kendal was tucked away in the back room, applying her makeup in the corner while her bridesmaids got ready all around. It was a relaxed morning which turned into an even more chill evening as she finished getting ready and spent the afternoon with her groom. And before they knew it, it was time to get married. After a year and a half of wedding planning, the time was finally here. And it couldn't have been more perfect. 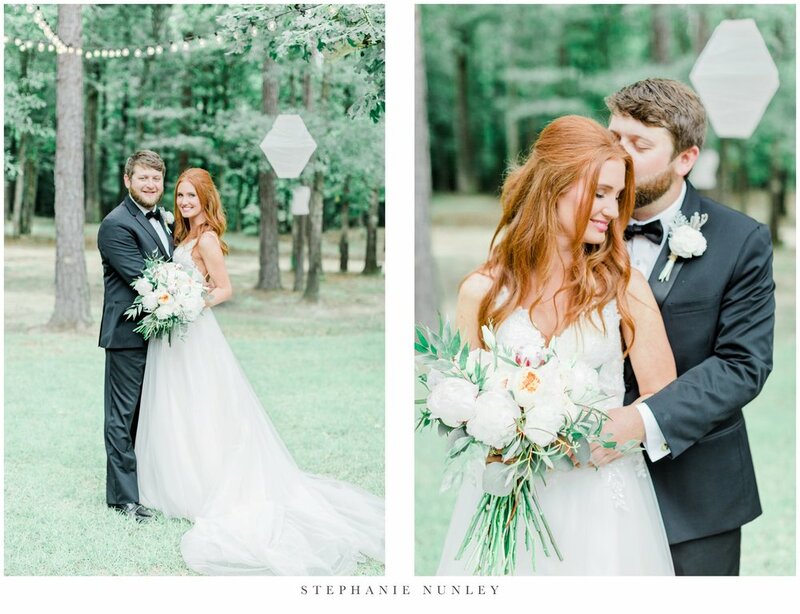 Kendal and Ty were married at Blessing Tree Farm in Texarkana, which was the perfect venue for their wedding. The barn was set up beautifully for the ceremony with the reception tables outside for guests to enjoy. Every detail was thoughtful and beautiful, and it was truly a joy to photograph. Kendal and Ty, thank you from the bottom of my heart for trusting me with the photographs of this season of your life. It's always a huge honor to be asked to be a photographer for other photographers, and it means the world that you allowed me to share such a special time in your life. I absolutely love you guys, and couldn't be more thrilled for you and your future together. I hope you're having an amazing time in Hawaii, and I hope you love and cherish these photographs of your wedding day for a lifetime.